Collapse of the caliphate: what next after ISIS? Geopolitical tensions, foreign fighters and sectarian tensions will fuel further conflict. 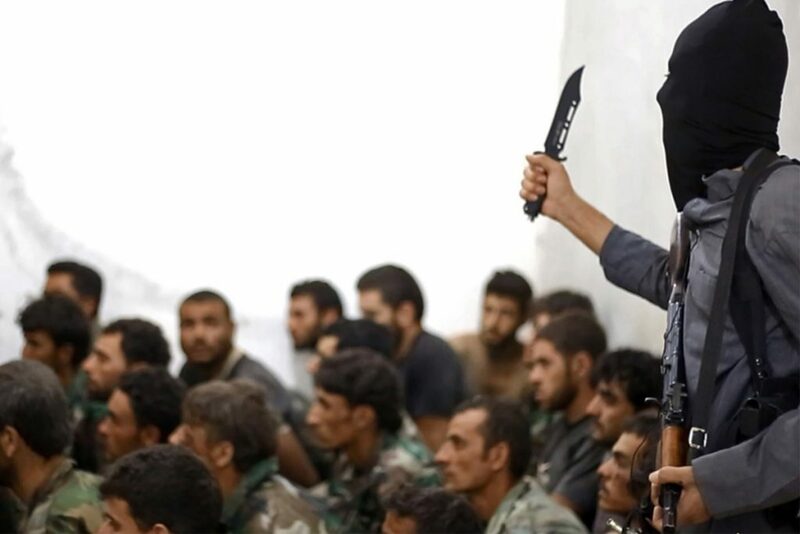 Following the hard-fought campaign to dislodge ISIS from their territorial holdings in Iraq and Syria, the rise and fall of the self-proclaimed caliphate will continue to generate political aftershocks and conflict across the region and around the globe. With the fall of Raqqa and Deir al-Zor, ISIS have lost the last of their major territorial holdings in Iraq and Syria, as well as the associated income streams from taxation, oil sales and control of smuggling routes. The jihadi militant group has beaten back under sustained military pressure from a gamut of coalitions and armed actors, which waged intense ground and air campaigns over three years to contain and ultimately defeat the group. But while the immediate perils of ISIS have diminished, other risks proliferate in the vacuum the group leaves behind. As the major security threat posed by ISIS recedes, there is a critical risk that regional conflict could break out between the remaining armed factions. With weakened Iraqi and Syrian states, opportunity is rife for both state and non-state actors to pursue their own strategic interests at odds with their former anti-ISIS partners. Among the state actors vying for power and influence in the region are traditional external players (including the US and Russia) and regional powers such as Iran, Saudi Arabia and Turkey. Geostrategic games will continue to play out in the region with Syria as a proxy for powers to compete for spheres of influence. For example, the Astana Talks have proven an effective vehicle for Russia, Turkey and Iran to limit US influence in Syria and further consolidate their power in the region, and for the Russia and Iran to advance a pro-Assad regime agenda. As a growing regional player, Iran is looking for ways to increase its power projection. Its position and influence have benefited from Russia’s dependence upon Tehran to secure access to strategic air and naval bases in Syria, as well as Baghdad’s increased reliance upon Iranian military support in the final push to expel ISIS from Iraq. Tehran is looking to further strengthen its geostrategic interests in Iraq and Syria by securing a strategic land corridor across Iraq, Syria and Lebanon to the Mediterranean. Forces fighting ISIS in Syria are racing against each other to capture strategic territory once held by the militant group. Airstrikes around the city of Deir al-Zor, until recently held by ISIS, have highlighted the potential for direct conflict between the Iranian- and Russian-backed Syrian regime and the US-backed rebel coalition; in September, US-aligned fighters accused Russia of bombarding their positions with airstrikes and mortars as they closed in on the city. This type of incident is increasingly likely as the Syrian civil war drags out. 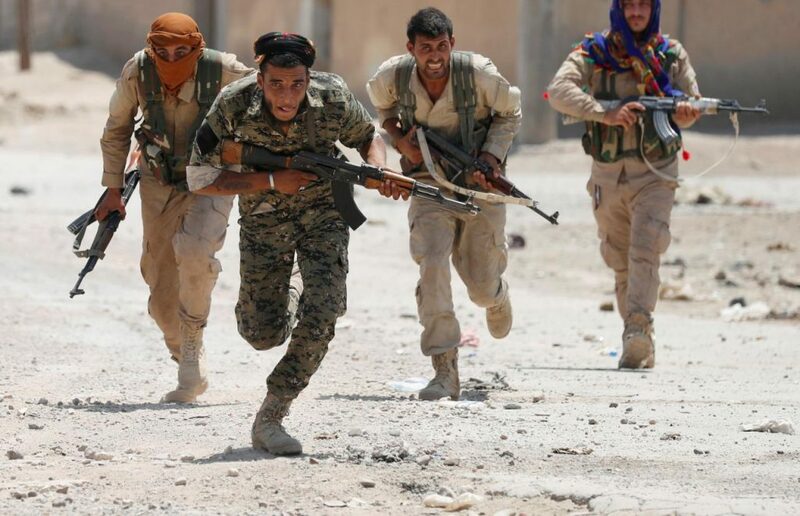 Kurdish forces, primarily made up of the Popular Protection Units (YPG), formed an integral part in the battle against ISIS. But with the intense ground conflict mainly over, Kurdish groups face renewed potential for conflict as they fight for autonomy over lands they inhabit in Iraq and Syria. 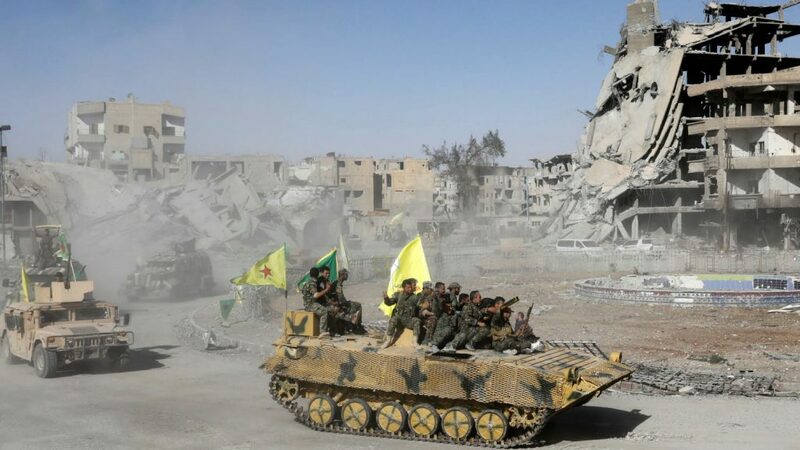 The YPG have captured and laid claim to the city of Raqqa as well as Syria’s largest oil field, but Assad regime officials have stated their intention to recapture these regions. Turkish soldiers and armoured vehicles have crossed the northern Syrian border and set up positions in Idlib province. Turkey is not only opposed to Bashar Al-Assad’s forces but is moving into positions bordering Afrin, a strategic Kurdish enclave. Turkey claims that the YPG are extensions of the Kurdistan Workers Party (PKK), a separatist organisation that has been designated a terrorist group by Turkey, the US and the EU. A similar fate is befalling the Kurdish peshmerga forces in Iraq. Since Iraqi Kurdistan’s independence referendum on September 25, Baghdad has held joint military drills with Iran and Turkey in demonstrations of their united opposition to Kurdish independence, and Iraqi forces and Iranian-backed militia have reclaimed control of Kirkuk and Kurdish border regions. With the multitude of armed and hostile combatants facing off across increasingly shrinking ISIS territory, the end of caliphate has created a tinderbox of shifting power dynamics in a region already beset by war. Battle-hardened ISIS fighters leaving Iraq and Syria pose a significant problem for international security. The former militants have honed bomb-making skills, battlefield tactics and innovative terror weapons, such as the use of cheap drones to deliver explosives. These techniques and tactics will be easily transferrable to other conflict zones. Many ISIS fighters have been killed or cornered in Iraq and Syria after the counter-ISIS coalition worked to cut off escape routes out of Raqqa and Mosul, lowering the number of returnees to western nations first feared by policymakers. However, many survivors are believed to have gone to ground in countries including Turkey or are making their way to other regions experiencing insecurity and poor governance. These ISIS fighters have garnered prestige and developed organisational capabilities during their service to the self-proclaimed caliphate. They can use their experience to spread propaganda and radicalise and recruit new members among disaffected communities around the world. This dynamic has already begun to play out in 2017. Using the seizure of Mosul as a blueprint for their operation, militants loyal to ISIS staged a five month siege of Marawi in the Philippines, supported by $1.5 million in funding from ISIS leadership. Returning fighters and ISIS-inspired radicalisation of locals are a danger for many states including Yemen, Niger and Tunisia where ISIS subgroups have already perpetrated violence. Worryingly, C-Save, an organisation working to reintegrate returned fighters in Indonesia, estimated that 90% of people they worked with wanted to return to Syria. ISIS arose amid the civil breakdown of Iraq and Syria, born from a legacy of policy failures by the international community spanning back to the 2003 invasion of Iraq and fanned by Abu Musab al-Zarqawi and other jihadis strategically inciting a Sunni-Shia sectarian conflict thereafter. This sectarian dimension underlying regional violence has not been addressed—and has potentially worsened—with Shia militias operating in Sunni-heartland regions recently held by ISIS. As discontent and grievances continue to grow, tensions have escalated, increasing the likelihood of further retributive violence between locally armed Sunni and Shia groups. Iraq and Syria are both fragile states that have been ravaged by their efforts to defeat the self-proclaimed caliphate. There has been severe destruction and a need for stabilisation and rebuilding—politically, economically and societally. Unless these structural factors and complexities are adequately addressed, the conditions for the revival of extremism will continue to exist. With renewed geopolitical scrambling, radicalised fighters moving to other war zones and the underlying drivers of extremism still present in Iraq and Syria, the defeat of ISIS will not lead to the cessation of conflict. It will simply expedite new cycles of violence across the region and the globe.